Amazon‘s impact on the job market has been underappreciated, Morgan Stanley says. The retailer is both directly and indirectly creating a massive number of jobs on the national and local levels, Morgan Stanley data show. Amazon’s job-creating ability is a key leverage in its ongoing struggle with regulatory pressure, the firm said. Amazon‘s contributions to the job market have been underappreciated, Morgan Stanley says. “Amazon has been both a net job creator and a catalyst for stronger job growth,” said a group of Morgan Stanley analysts led by Mark Savino in a note distributed on Tuesday. The e-commerce behemoth, which confirmed last month that it will be opening its HQ2s in the Long Island City neighborhood of Queens, New York, and Arlington, Virginia, said that it will create more than 50,000 jobs across the two new headquarters. 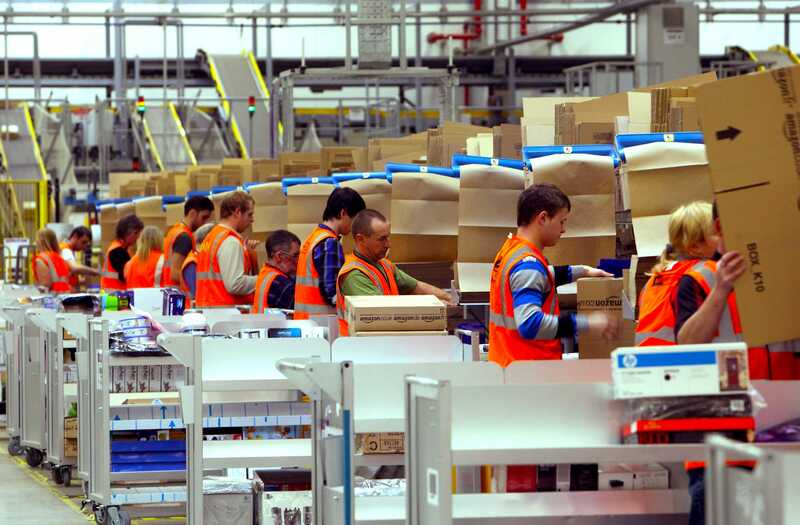 Amazon has proven its ability to boost local employment, according to Morgan Stanley. The firm’s data show that, in Amazon’s top 10 metropolitan statistical areas, where the company has five or more fulfillment centers, job growth has been 1.9% greater than the national average in the three years after Amazon’s entry. At the national level, Amazon isn’t the job killer its made out to be despite its disruptive impact on department stores, Morgan Stanley added. While overall national retail employment declined by 29,000 jobs in 2017, Amazon created 135,000 new jobs in transportation and warehousing positions last year, more than offsetting the department-store jobs lost, according to the firm’s data. These are all things Amazon can use as leverage as it looks to push back against pressure from regulators, the analysts said.